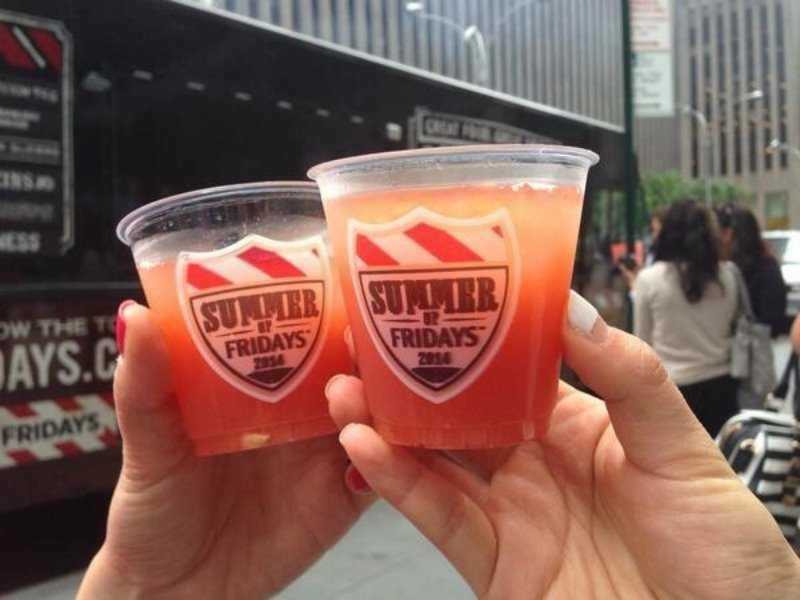 TGI Fridays is getting sued for allegedly manipulating customers into buying over-priced drinks. In three proposed class action lawsuits, a South Jersey law firm claims TGI Fridays deliberately omitted prices for soda, beer and cocktails from its menus so the restaurant chain could get away with charging customers “excessive” prices for beverages, New Jersey’s Courier-Post reports. In some cases, the chain allegedly charged different prices for the same drinks. The lawsuits are seeking payments of $US100 per beverage for customers who purchased drinks that were listed without a price on the restaurant menu. TGI Fridays could be forced to pay more than $US5 million if the lawsuits are successful, according to court papers reviewed by the Courier-Post. This isn’t the first time that TGI Fridays has been accused of manipulating customers’ beverage orders. The franchise owner of eight New Jersey TGI Fridays agreed to pay a $US500,000 fine last year after investigators discovered that restaurants were filling top-shelf bottles of liquor with cheaper alcohol, according to NJ.com.